Ashtanga is a dynamic and effective form of postural yoga that exploded in popularity in the 1990s, first through the teachings of Pattabhi Jois, a disciple of the legendary Krishnamacharya, who is undoubtedly the grandfather of virtually all forms of modern postural yoga. The exponential growth of Ashtanga has continued through the enthusiastic students of Pattabhi Jois, many of whom have set up yoga schools all over the world to share this method. At the heart of the methodology is an integration of smooth breath, concentrated yet broad gaze, and steady posture. These elements are seamlessly woven into rituals of movement. When practised regularly and skilfully, it is possible to experience profound expansion of the body-mind and learn to stay present and centred throughout the myriad physical sensations and mental projections that finally dissolve back into ever-present stillness. As conceptual boundaries fade, one’s sense of self is radically transformed. Mysore style is the main way that Ashtanga is practised and taught all over the world. Named after the city in South India where Pattabhi Jois taught this method since the 1970s, this style of class is unique and unlike led classes, where all students follow the same routine at the same pace, following verbal cues. Instead, each student learns and memorises each pose one-by-one, as instructed by the teacher, and in doing so takes full responsibility for their own practice. Individuals progress at different rates according to their capacity and complete beginners practise side-by-side with seasoned practitioners. This method of learning allows for a healthy adaptation according to an individual’s needs and their life situation. The practice room is silent except for the sound of the breath; this naturally leads students to fully immerse themselves in what is essentially a meditative breathing practice. Joey came to yoga in 1998 after a misspent youth pursuing the circus, martial arts and physical theatre. While at Goldsmiths University studying a BA in Drama, he set up and directed the Yoga Society there, doing his practice of seva (service). 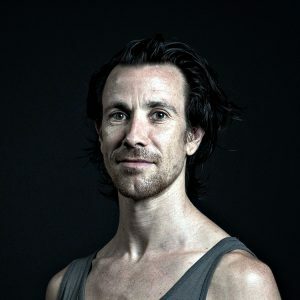 On graduating he began assisting Hamish Hendry at Astanga Yoga London and for 3 years he practised and assisted daily. During this time he spent 2-3 months every year in Mysore with Pattabhi Jois and Sharath. In 2004 he was authorised to teach the primary series by Pattabhi Jois and following that taught daily Mysore classes from 2005-2008 at Triyoga in Primrose Hill, London. In 2009 he relocated to Hebden Bridge and set up Ashtanga Yoga Leeds with the intention of supporting people’s daily yoga practice. In 2012 Joey received Authorisation Level 2, meaning he has Sharath’s blessing to teach the full Intermediate Series. More recently in 2014, Joey completed the 3rd series under Sharath’s guidance at the KPJAYI in Mysore. Rachel had the good fortune to stumble across yoga in 2009 whilst studying French and Philosophy at the University of Nottingham. In 2010 she began practising Ashtanga yoga with Level 2 Authorised teacher Paul Kleesmaa and upon her return to Leeds she began daily practice with Joey Miles. She has since travelled to Mysore, India on four occasions to study with Sharath at the KPJAYI, the source of the Ashtanga method. Rachel has been certified to teach by the British Wheel of Yoga and Yoga Alliance, having completed a two-year alignment focused Hatha Yoga training at Triyoga London. 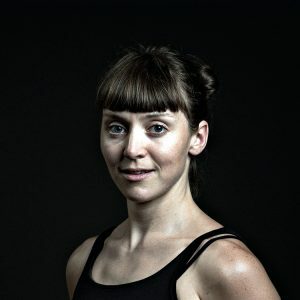 She trained as an assistant in Joey’s Mysore-style classes from 2013 – 2017 and now teaches weekly Mysore-style classes at their home studio as well as teaching together with Joey in Leeds. Since her first yoga class, Rachel became aware of the powerful effect of yoga practice on her mental state and feels an immense gratitude for this practice, which has changed her life. It is this feeling of gratitude that motivates Rachel to teach. We’d like to extend big love and thanks to the Jois family, Hamish Hendry, S. N. Goenka, Paul Kleesmaa, Christian Pisano and Alaric Newcombe. Joey and Rachel have been instrumental in guiding me through the start of my journey as a new practitioner and later giving me inspiration to re-qualify as a yoga teacher. Both are dedicated, compassionate and knowledgeable teachers. Rachel spent a huge amount of time with me during my first Mysore sessions which increased my confidence hugely. I also regularly attend Joey’s led classes and always leave having felt as though I’ve learned some nugget of yoga genius! I can’t recommend both Joey and Rachel enough, whether you’re someone who’s just curious about Ashtanga, or a seasoned practitioner, they’re ideal teachers.